As the Advisor to the Community Foundation of Southern Indiana, Inc. for the above-listed Fund, I recommend making from the above-named fund the grant or grants listed below.  - Must receive approval by the Community Foundation of Southern Indiana, Inc. Board of Directors. - Does not fulfill any legally enforceable financial obligations of me, advisors to the fund, or other parties related to me or to this fund. - Does not permit me, my family or any related parties to me or to this fund to acquire a benefit, receive any goods or services or non-tax deductible benefits for myself or any specific individual in exchange for this payment. - Will not support political campaigns or lobbying activities. - Will not pay for dues, tangible membership benefits, goods from charitable auctions, or other goods or services. - Will not pay for attendance at galas, sporting events, or benefit events. - Will not be used for any specific individual (including grants to an entity for the benefit of a specific individual) or for loans to donors, advisors or other parties related to me or to this fund. My name and mailing address may be released. My fund name may be released. I prefer my recommendation be anonymous with no mention of my name or fund name. I prefer the grantee direct correspondence through the Community Foundation; do not release my mailing address to the grantee organization. The grantee organization may wish to communicate with you as the advisor to the Fund. Direction from you will help the Foundation respond to these requests. Please check the appropriate box.